When well-known Marist priest, writer, respected scholar and theologian Fr Craig Larkin sm died last year after coming back from Rome he left texts of books he was working on. One on spirituality through the ages, called An Inner Music, has just come from the publishers. It is a beautiful work and easy to access. 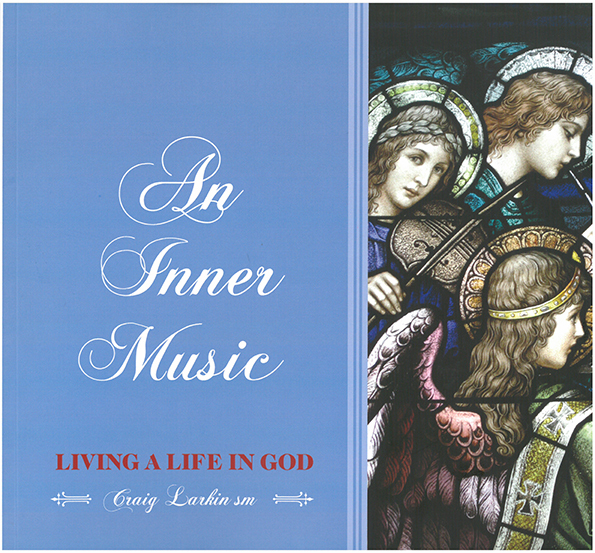 An Inner Music provides a fascinating introduction to 20 mystics and spiritual teachers. It also offers a series of down-to-earth reflections on how the profound insights of the spiritual masters can relate to and transform our own day to day Christian living. Themes are illustrated with photographs of the stunning stained-glass windows in St Mary of the Angels, the Wellington church where Craig Larkin was ordained on 1 July 1967. In more recent years, Craig worked at the Society of Mary’s General Administration in Rome but returned to Wellington when he was diagnosed with cancer in December 2013. An Inner Music is one of several books he was working on when he died last June. Marist provincial, Fr David Kennerley SM, said the Society of Mary is delighted to see this special book published. ‘Craig Larkin was a gifted teacher and writer, well known for his creativity and communication skills. An Inner Music is a beautiful book and one that readers will find very relevant and accessible. Craig Larkin was a former Provincial of the Society of Mary in New Zealand and a popular lecturer in spiritual theology for many years. He was very involved in formation programmes in New Zealand and internationally. An Inner Music will be launched in Wellington on Monday 9 May, 6pm, Connolly Hall, Hill St, Thorndon, and in Auckland Friday 13 May, 6pm at Columba Centre. Copies will be available for $35 each at the launches and from the Society of Mary at $38 + pp, or post-launch at: Cerdon, PO Box 12154, Thorndon, Wellington 6144. For more information please email: secretary@smnz.org.nz or phone (04) 499-3060.